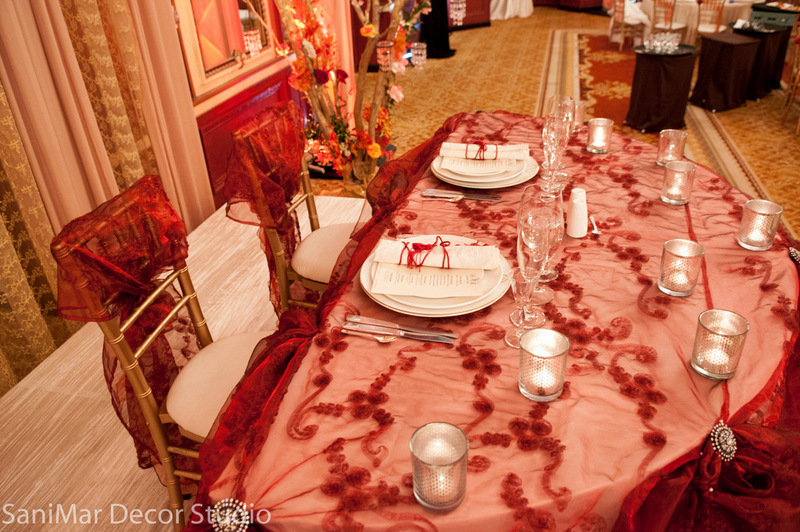 One can never go wrong with choosing pink in October! 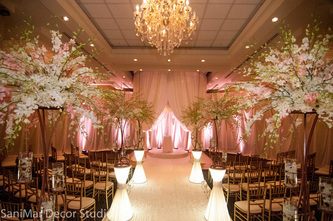 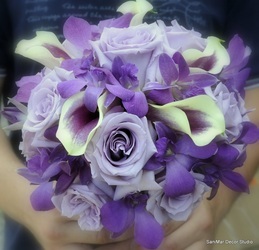 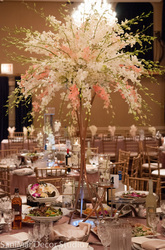 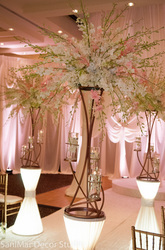 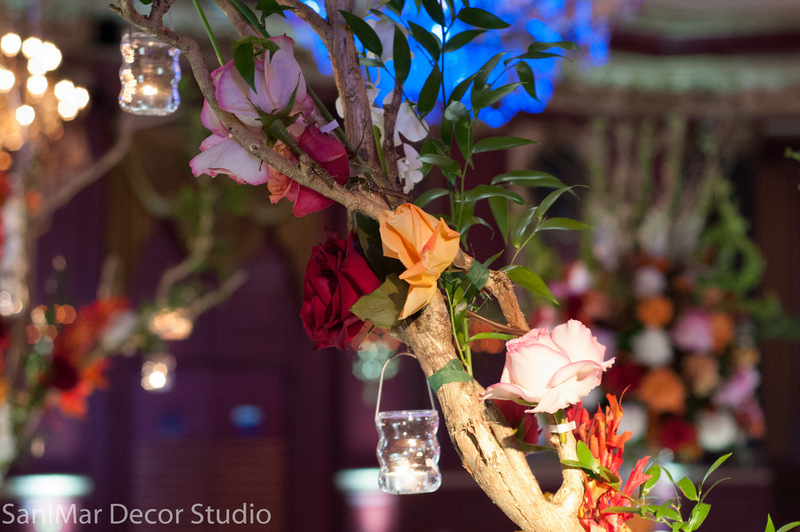 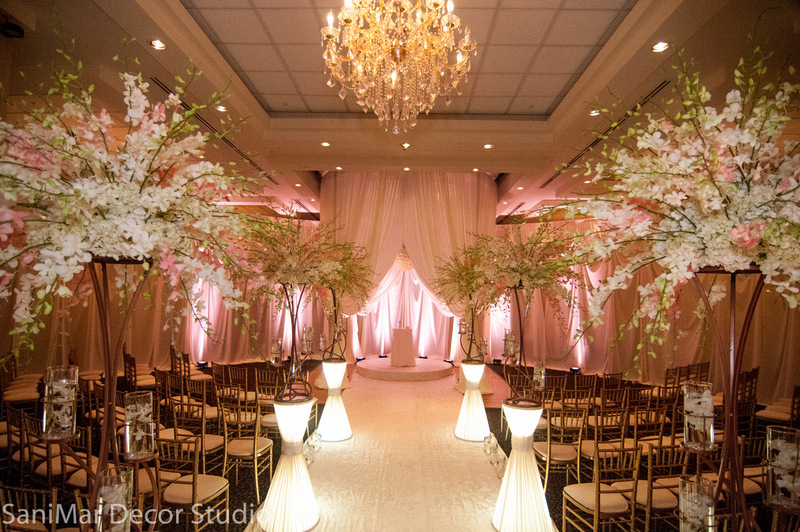 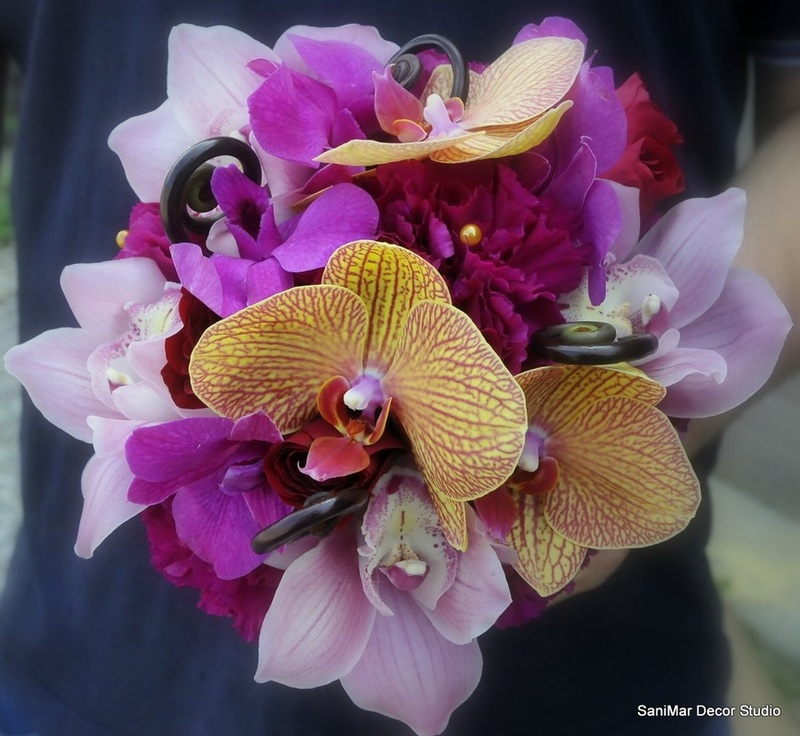 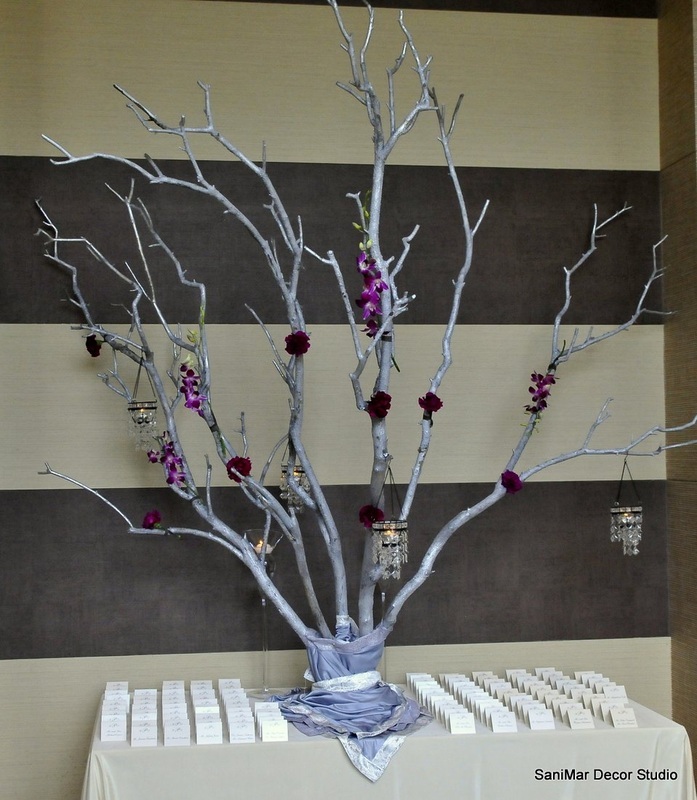 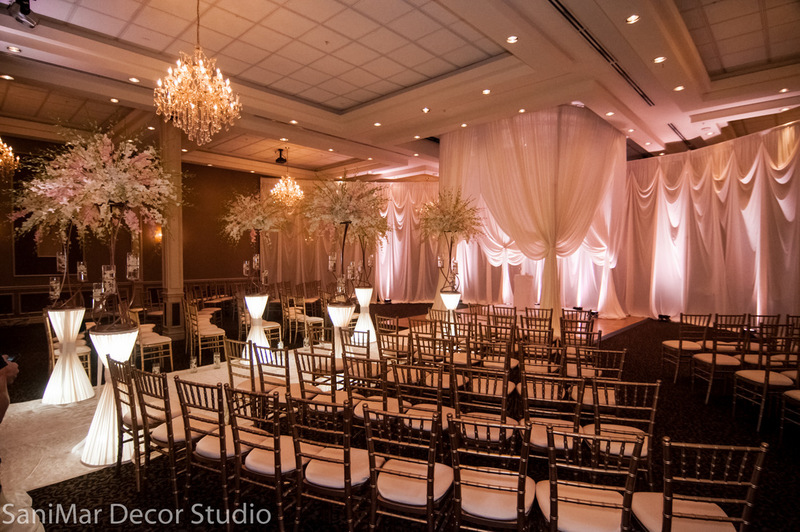 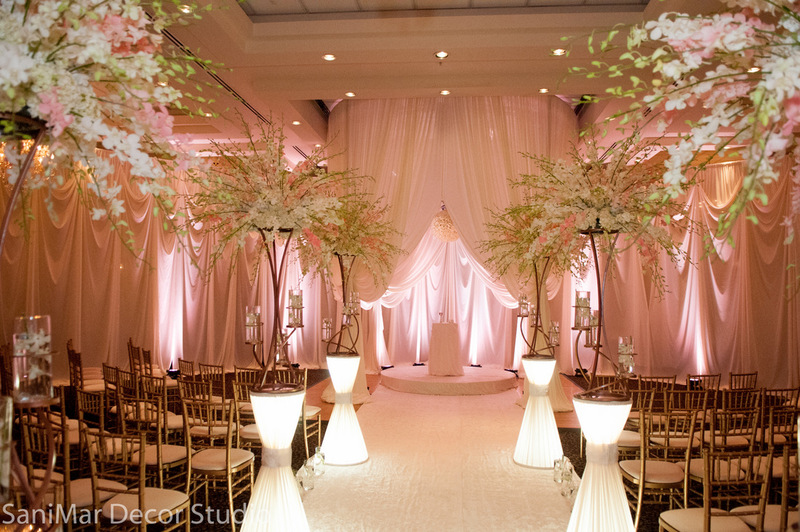 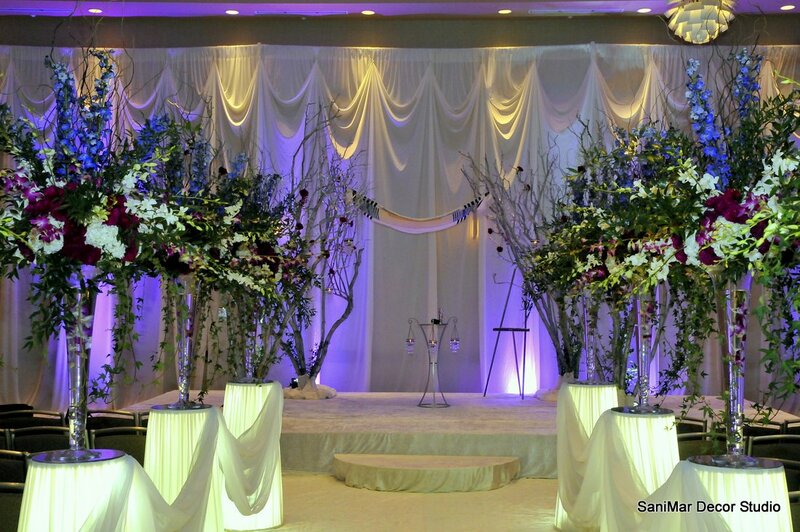 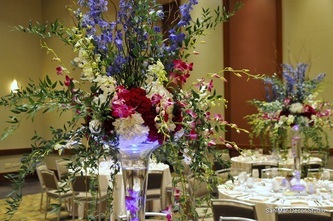 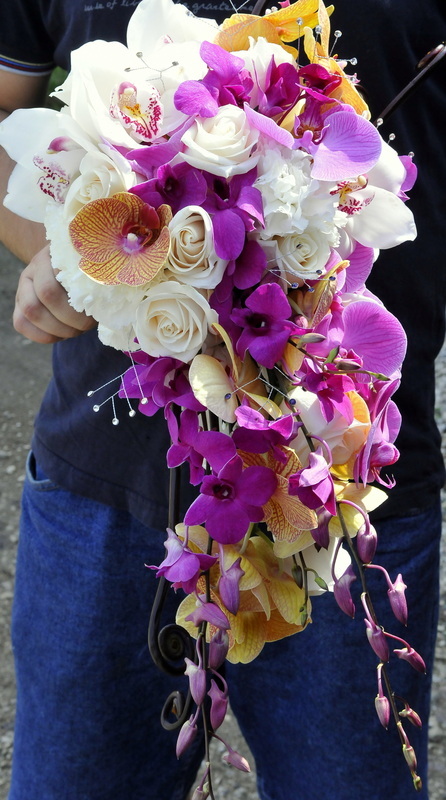 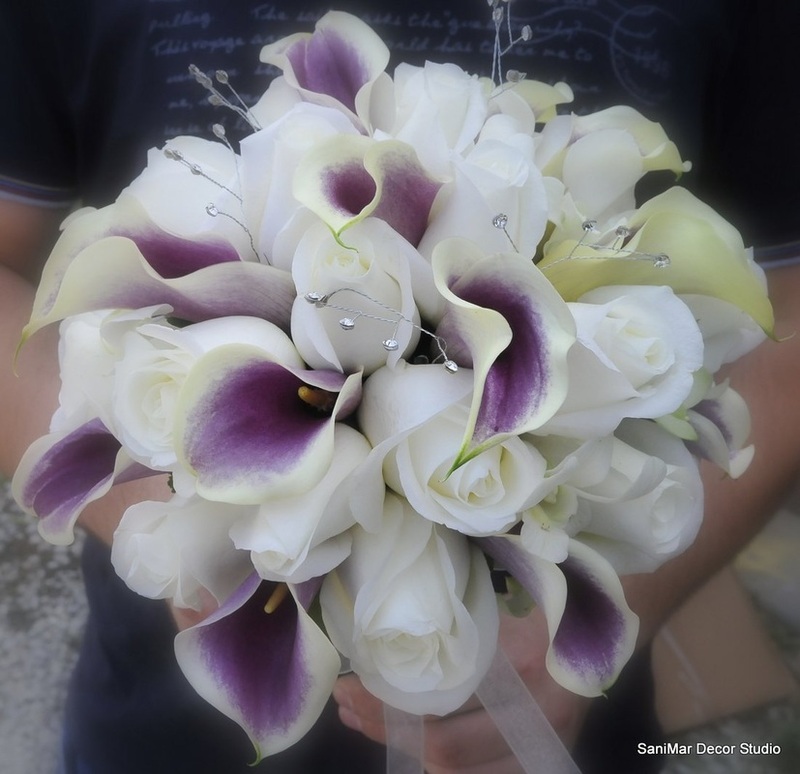 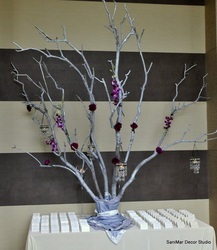 A relaxed wedding style with these soft colors of Dendrobium flowers. Nice, simple and ready for October colors! 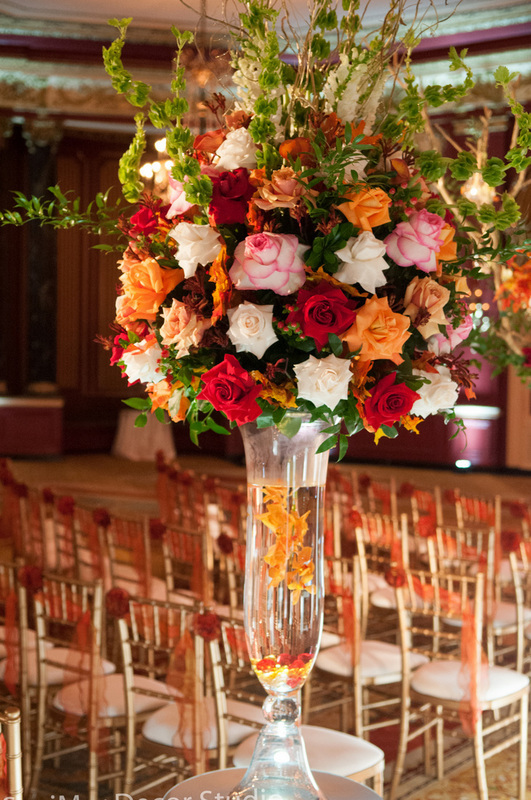 Bring on the oranges and yellows! 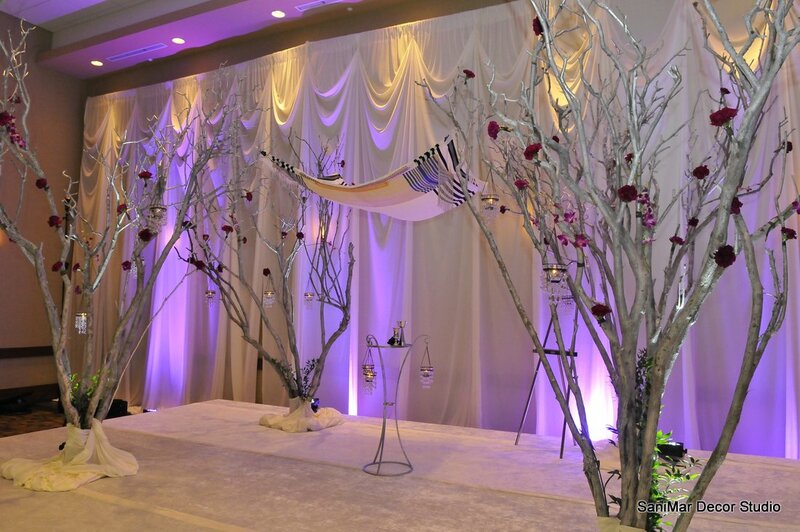 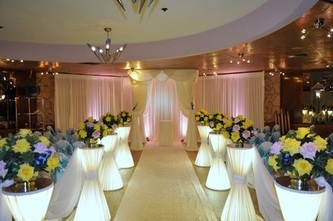 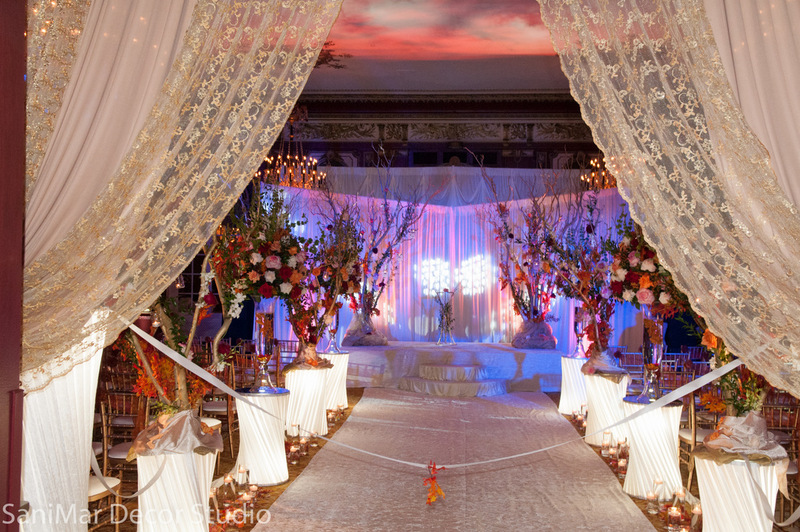 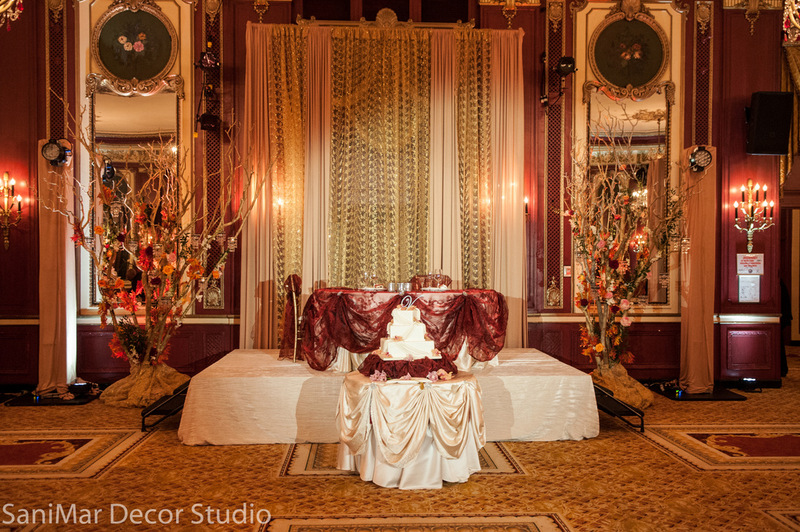 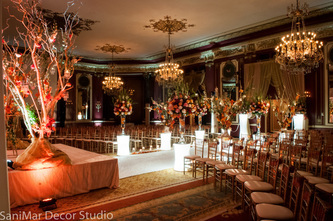 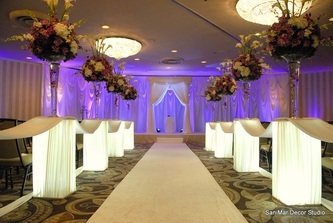 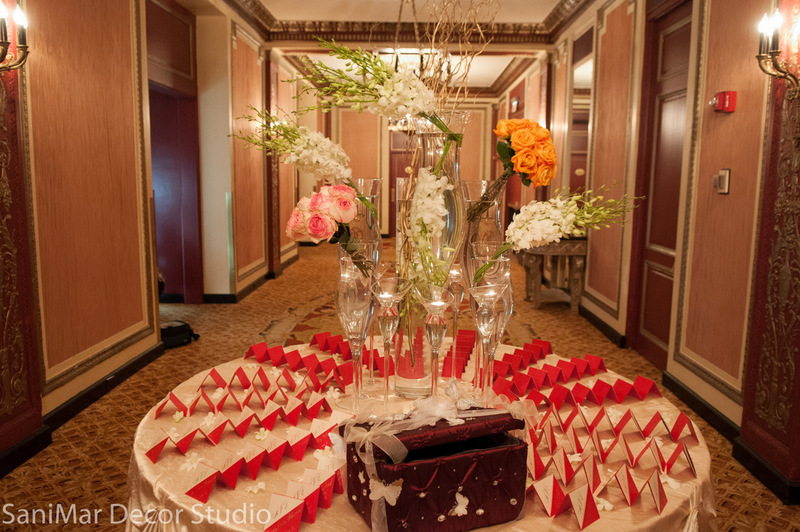 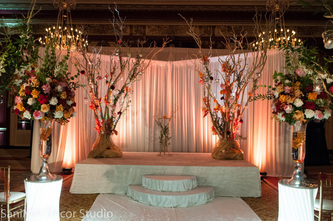 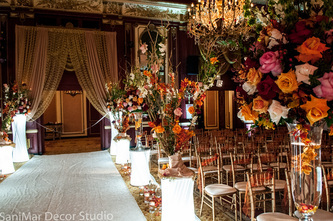 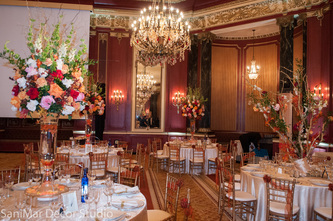 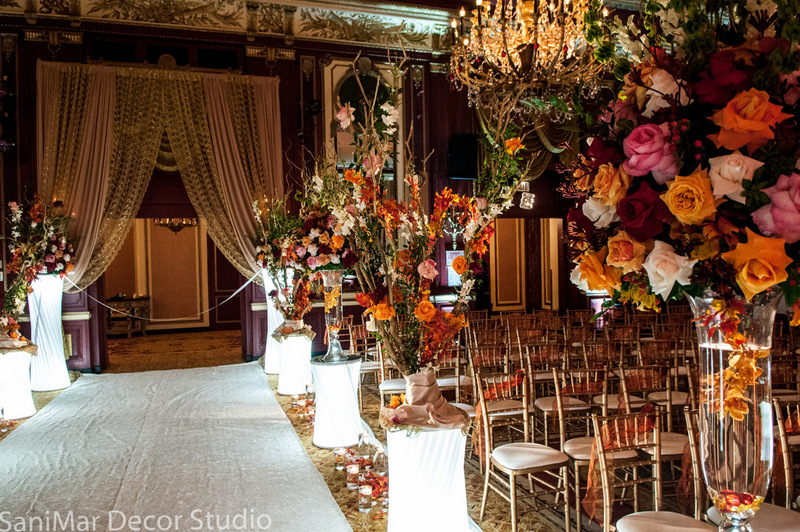 This past weekend, we celebrated a wedding at the Palmer House, which was a favorite of ours! 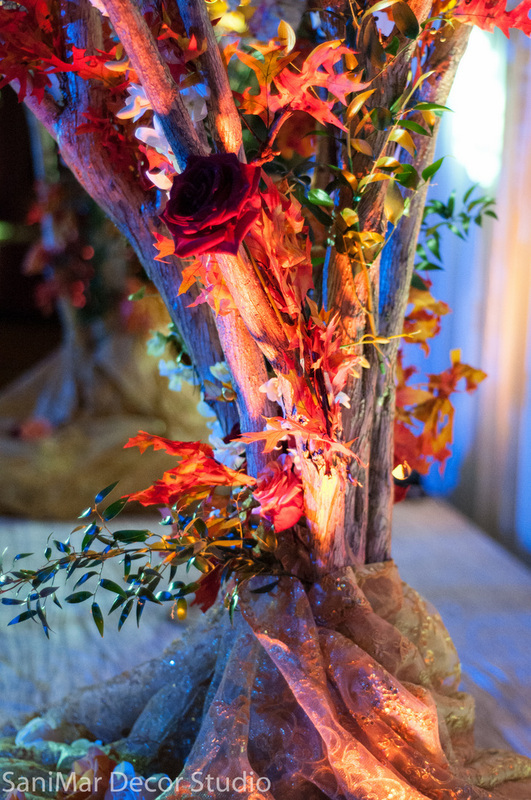 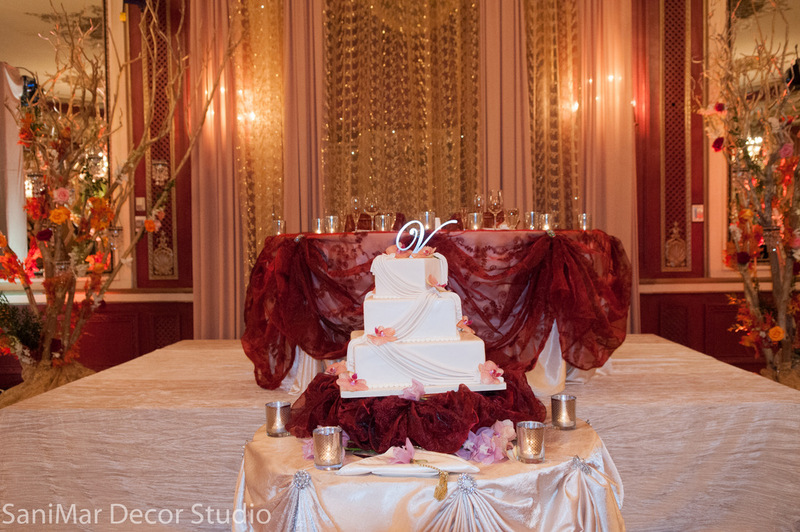 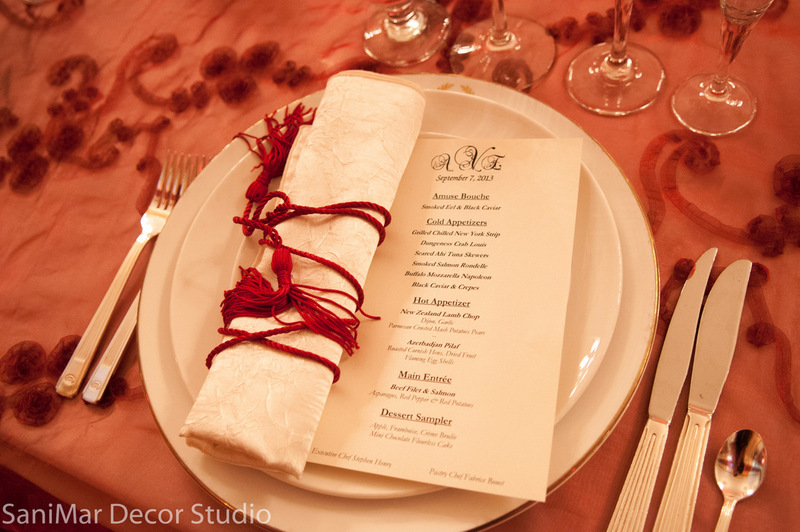 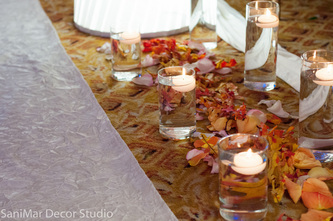 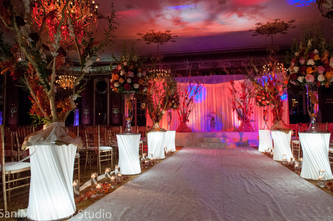 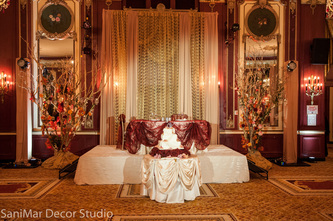 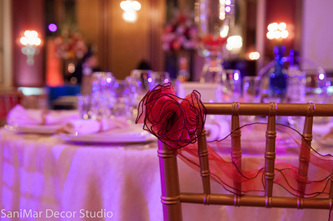 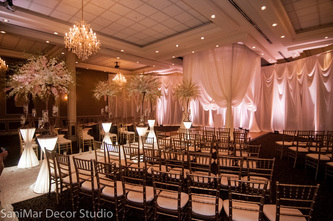 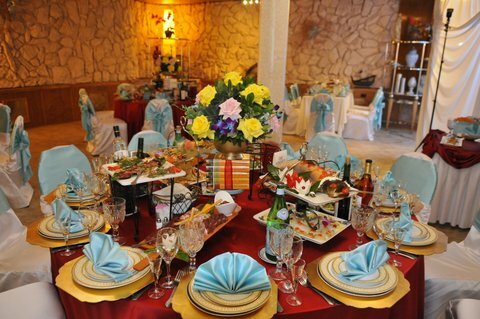 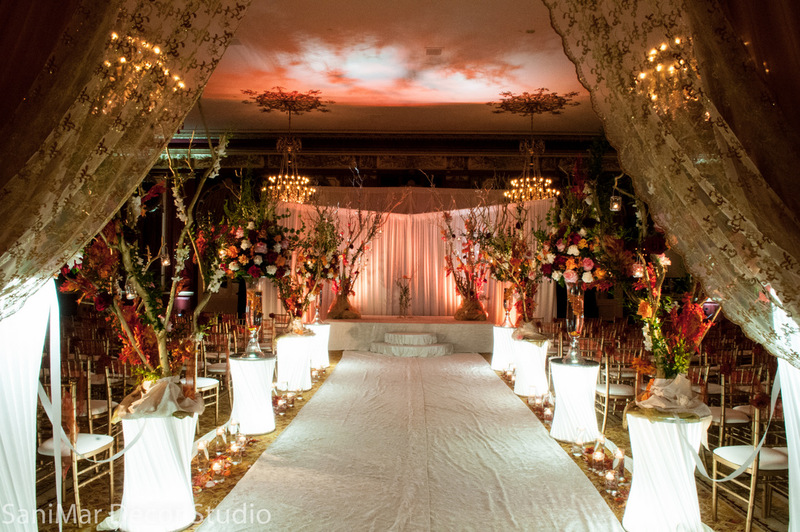 The venue itself had gold and red all over, matching wonderfully with our reds, golds, oranges, and greens. The trees were all real and the red leaves had a fresh scent, shipped all the way from Canada. 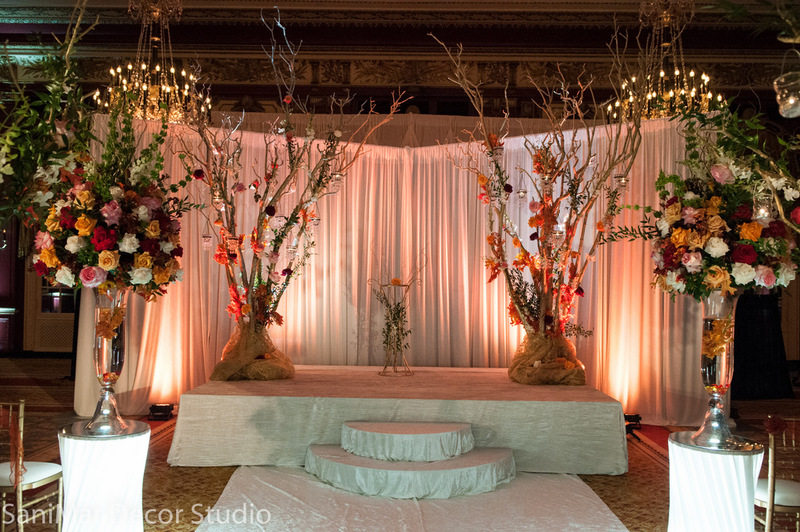 Autumn-style weddings are a tradition our studio works with and we were honored to work our first autumn-themed wedding this weekend. 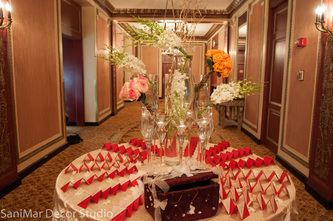 Check out our photos and let us know what you think! 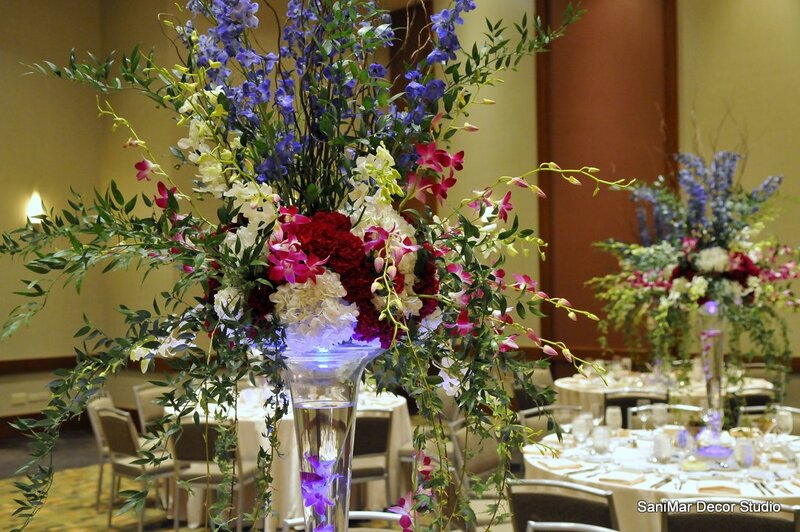 We hope everyone enjoyed their Labor Day Weekend! 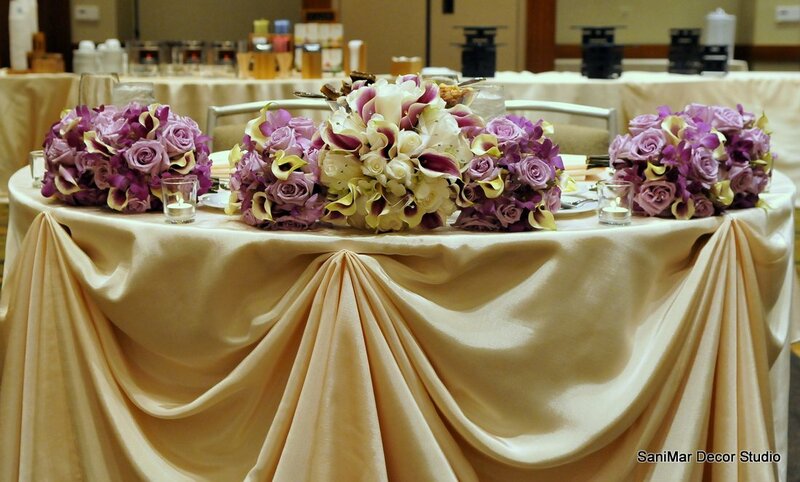 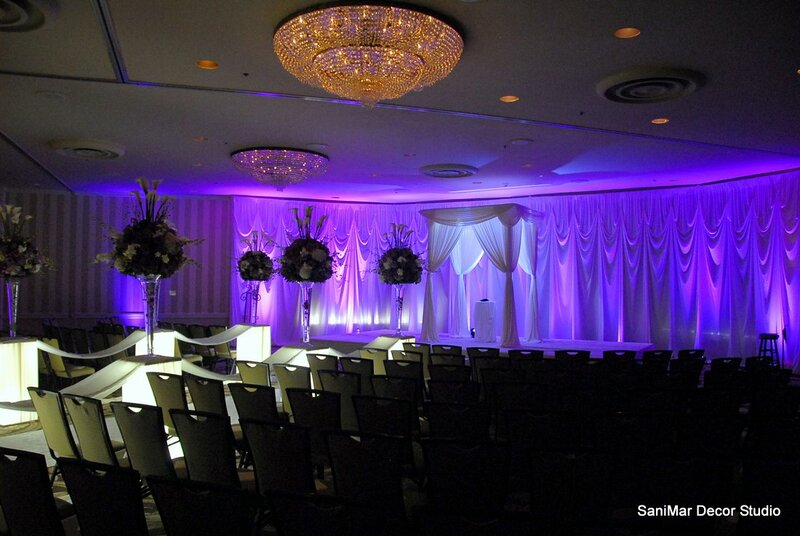 We kept busy at a number of different events and found purple to be a popular color this weekend! 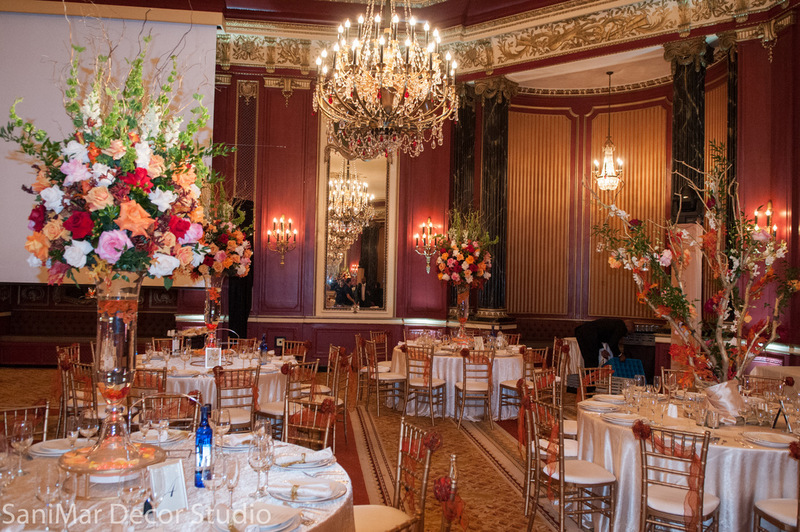 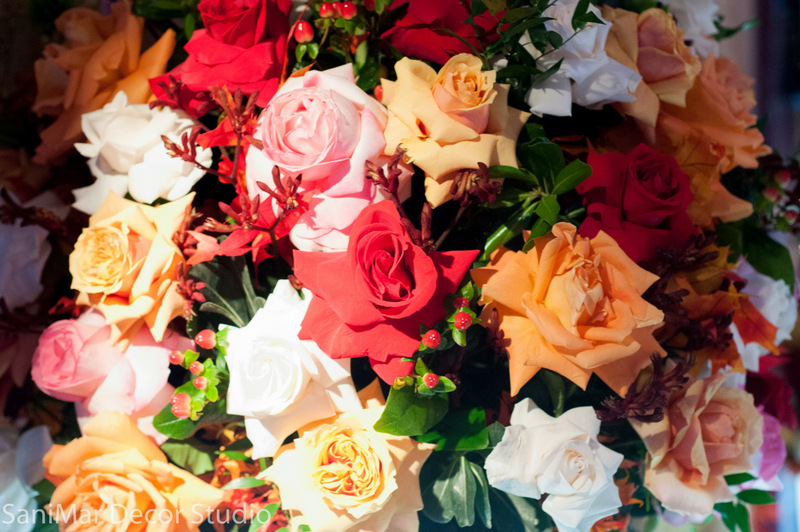 With eight events this weekend and nearly 6,000 sets of flowers, our studio is under a lot of pressure to put on thousands of happy faces! This is no challenge to us though; we are prepared to "wow" the crowds with our work! 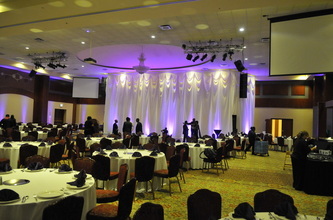 Be on the lookout for photos!